Free site surveys available – which will bring you up to date with HSE requirements for your business. Electronic or Battery Chemical Dosing Dispensers Our durable, dependable chemical dosing systems are used all over the world – helping customers automate release of chemicals for quicker, simpler and safer operations. A wide range of dosing systems that will work with all sorts of apparatus, from tabletop glass washers to water-cooling towers, We are suppliers how can offer bespoke design service to create a system to suit your needs. Many dispensers come with access codes for added security and enhanced multi-level programming. All products come with multilingual support for overseas clients and the option of brand promotion on the wall-mounted enclosures. We offer training courses on all our electronic equipment as well as telephone support during working hours. 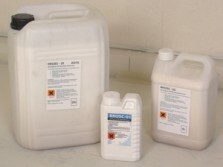 Dosing units are ideal for drain dosing with Biozyme in kitchen areas. Set for overnight operation, to give uninterrupted grease clearing capabilities. Please contact us if you have any queries. Multi-Zorb Industrial spillage absorbent, is a specially produced quality granular clay that absorbs all kinds of liquid spillages without granular breakdown, leaving floors clean, dry and safe. Clay Granuals 20 litre bags. Fast - Reacts to spillage immediately Rapidly absorbs large quantities of liquid Safe Non-toxic, non-abrasive and relatively dust free. 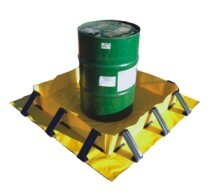 requires no special precautions during handling other than maintaining normal housekeeping practices Provides sure footing on slippery surfaces Ideal for use in car bays, machine shops, factory floors, warehouses, oil refineries, packaging plant, garages, forecourts etc If item is not priced or you have any queries then please contact us. Bulk buy discount may be available. Please contact us. RROSC products are designed to remove oil and fuels from hard surfaces such as concrete and block-work. They contain organisms that digest oil products by natural processes. These cutting-edge cleaners form the basis of our highly acclaimed Concrete Oil Stain Removal Kits. 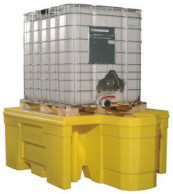 •A complete range of bunded pallets that allow you to store your 205ltr drums and 1000ltr IBC's in the safe knowledge that you comply with the oil storage regulations and the guidelines issued by the Environment Agency. 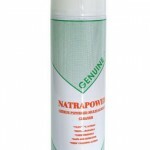 •Manufactured from polyethylene gives excellent chemical resistance Please contact us.